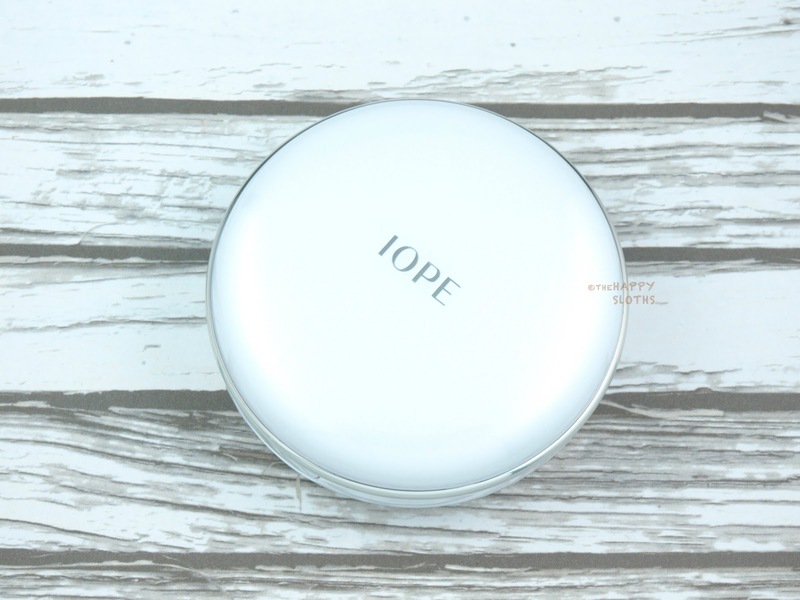 The IOPE Air Cushion Matte Longwear comes in a simple round compact with a subtle pearly finish. The packaging design is your traditional two-compartment cushion compact. 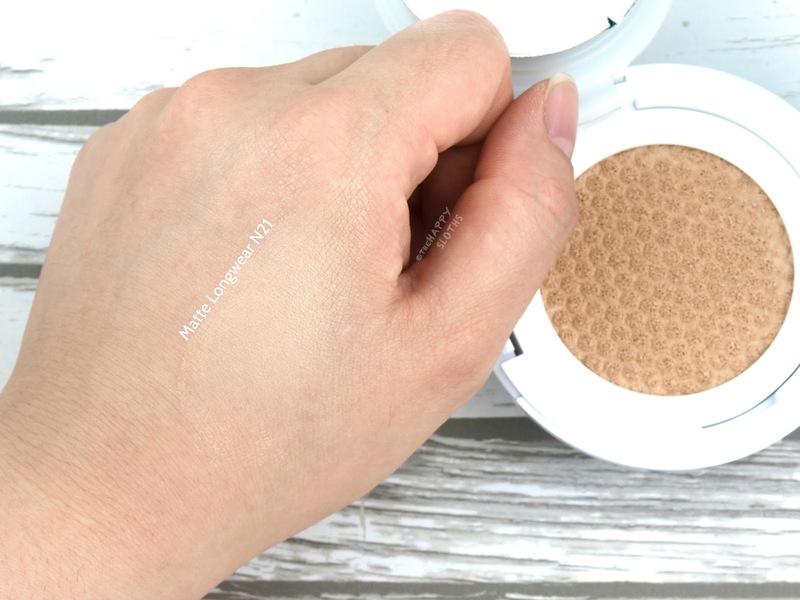 The upper part holds the cushion applicator and the bottom holds the foundation-drenched sponge cushion (15g). I noticed that with this sponge, the surface is adorned with a unique honeycomb design and the overall texture feels a lot more firm as compared to your average cushion sponge. Therefore, the foundation is a bit harder to pick up and I have to press the cushion applicator extra hard into the sponge cushion to pick up an adequate amount of product. Included is an extra 15g refill, which can be swapped when the first cushion runs out. Most cushion foundation refills need to be purchased separately so depending on how much you buy this foundation for, the value can be quite phenomenal. 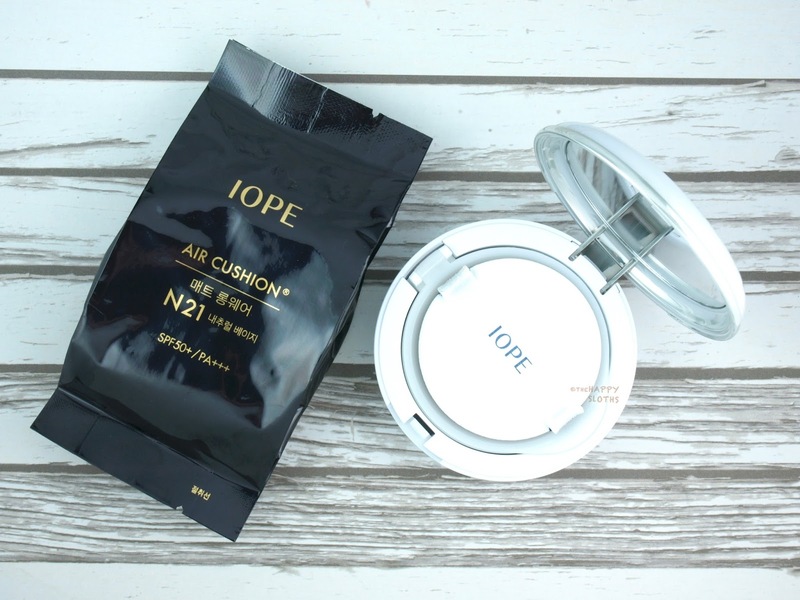 IOPE Air Cushion Matte Longwear Foundation in "N21"
The IOPE Air Cushion is supposedly one of the best-selling cushion foundations in Korea so my hopes were set pretty high. Unfortunately, the product is quite disappointing in several areas. Firstly, the Air Cushion Matte Longwear is sheerer than I expected. 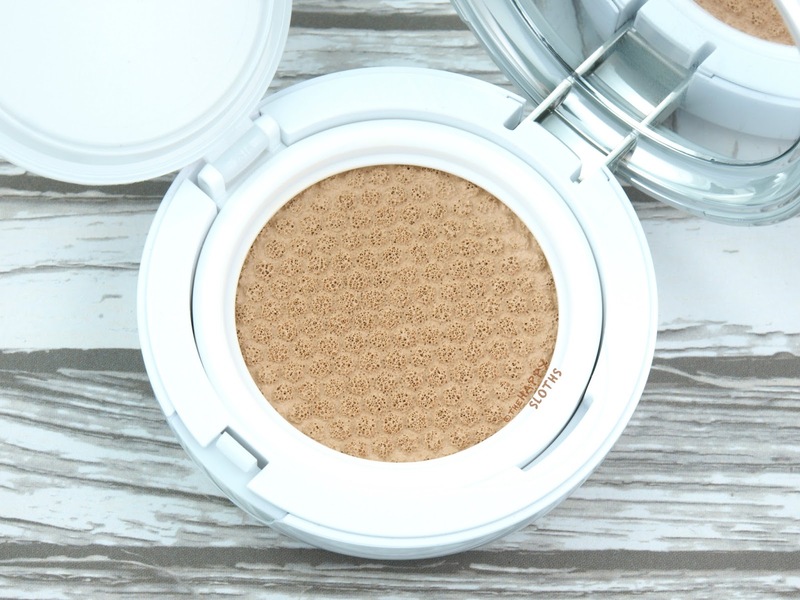 Although cushion foundations tend to have a more natural coverage, this one provides only a light to medium camouflage. The formulation is highly buildable but I would have preferred more pigmentation. "N21" is a neutral light ivory, it is a bit light for my NC20 skin but it is summer right now and my skin is slightly tanned. 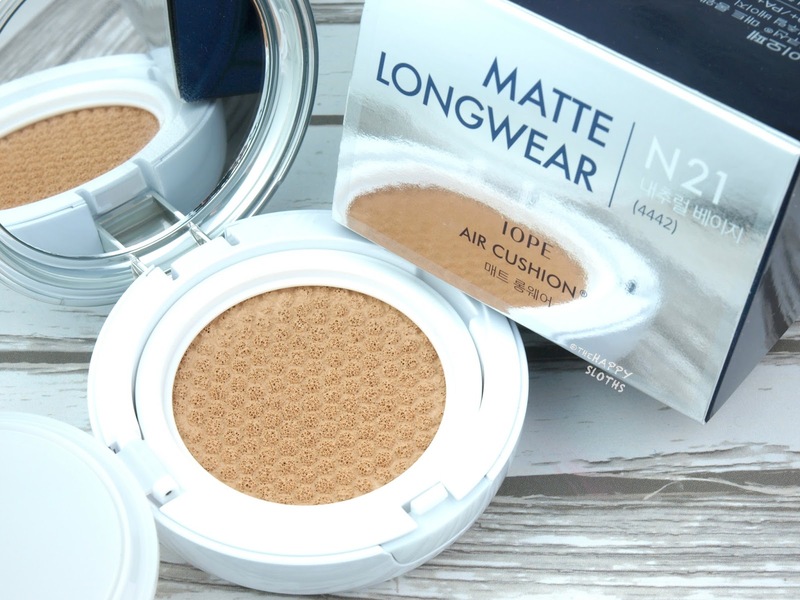 As its name suggests, this cushion foundation has a true matte finish. The texture is lightweight and refreshing but there is no dewy glow, which I really appreciate since I have super oily skin. However, where the foundation truly falls short is the disappointing wear. I've worn this with and without a primer and with both times, I noticed extreme fading, creasing, and settling. The matte texture disappears after a while, although it doesn't look as shiny as some of the other foundations I've tested before. After four or so hours, however, the coverage virtually disappears on my nose area and I can see distinct creases of pigments around the corners of my nose. 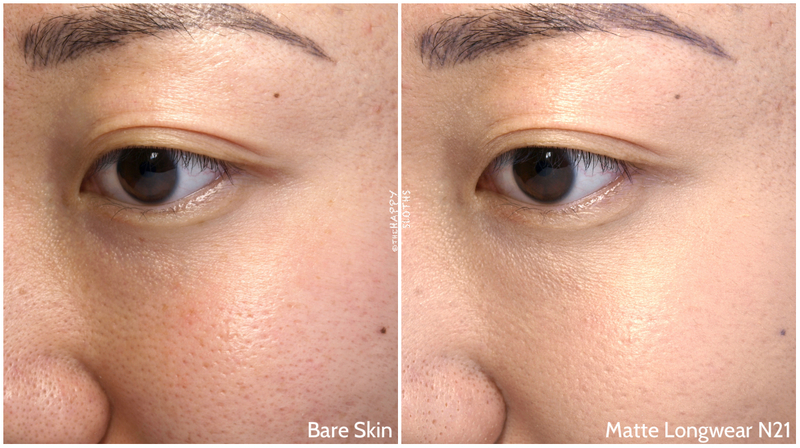 My pores also look extremely emphasized as the pigments slide around and collect into any uneven textures. Overall, this is a truly disappointing product. With a name like Matte Longwear, the product seemed great for oily skin but alas, it did not stand to its claims. The coverage is sheer and the wear is just a mess. The performance may be better on normal to dry skin but I cannot recommend it for oily skin.